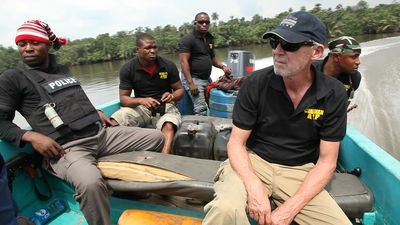 SHERIFF OF CROSS RIVER follows conservationist and animal lover, Peter Jenkins, on his journey to protect the species that inhabit Cross River, the main river in south-eastern Nigeria. The series follows Jenkins and his team, as they go to any means necessary to ward off poachers and fishermen, stop humans polluting and destroying the area, as well as prevent the devastation that the habitats have seen recently, by putting a stop to illegal logging. 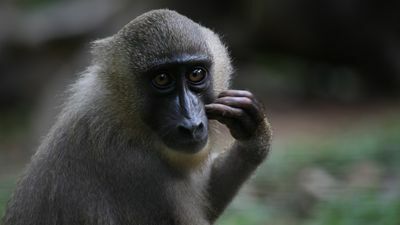 Jenkins and his Anti-Deforestation Task Force have set up a primate-breeding program to help protect the endangered drill monkeys in Cross River, after many of the animals died as a result of the deforestation. With the overall goal of protecting the forest and releasing the drills back into the wild, Peter and his team must now fight against local groups and illegal farmers as they prepare for the largest drill monkey release in history.